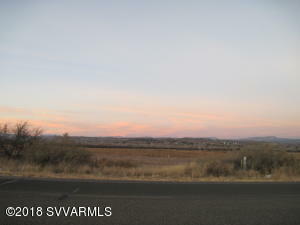 Description: This parcel is on Finnie Flat Road zoned C-2 just west of Faulkner Wash. The parcel fronts along Camp Verde's main thoroughfare. This is the easternmost of three parcels being offered for sale by this owner. Parcel has 58' frontage and widens to 288' in the rear. It goes to the approximate center of Faulkner Wash on the east. City sewer comes in from the west and is 38' from the rear. Water and gas are along the front. A long term sewer assessment is billed annually along with the property taxes.